Curtis Carver is vice president and CIO at The University of Alabama at Birmingham. Curtis Carver likes to keep things simple. Not that he isn’t invested in the latest technologies, but he says technology should be without roadblocks to the user experience. 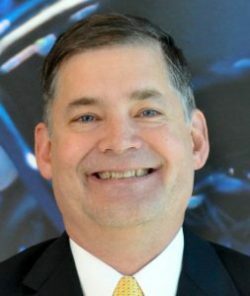 Toward that end, as vice president and CIO at The University of Alabama at Birmingham, Carver spearheaded numerous improvements, including unlimited email, unlimited storage, greatly enhanced connectivity, and a tenfold increase in high-performance research computing. Carver is also delving into artificial intelligence and chatbots in the university setting to improve the lives of faculty, students and staff. As a keynote speaker at UB Tech® 2019 in Orlando this June, Carver will discuss how such changes create “digital moments” that alter how you perceive your job. “We’re just trying to solve whatever problem you’re having, and let you do what you’re trying to do,” he says. You transformed IT services at The University of Alabama at Birmingham in an unusual way, by partnering with business owners, institutions and other state agencies to jointly solve problems. How did you manage that? I came in about 3 ½ years ago, and literally on my first day, we rolled out a crowdsourcing solution for everyone. We got the community involved in identifying areas that could be improved, what we could work on and what would transform their lives. That led to our promise of 100 technology wins for our customers every year. Actually, we’re somewhere between 370 and 400, so we’re way ahead of schedule. This approach really resonated with the community, and it’s led to some really big changes here. For example, we went from traditional metered email to unlimited email, unlimited storage, and the fastest network and the fastest high-performance computer in the state. Our wonderful 40-year-old telephone system is being replaced with a state-of-the-art VOIP system. The list goes on. I know you’ll discuss AI in your UBTech talk. How are you using it? We’ve developed AI agents that work on behalf of the faculty. All of our undergraduate classes have a presence in our learning management system on campus. These agents check to see whether the students are actively consuming content. Having used the system for about two years, I will tell you that I have a 100 percent yield on students answering that email. They tell me exactly what’s going on in their lives, and they vow to attend class—and they honor that. That kind of gentle, intrusive advising is done by one of our agents. It really works well. The students really appreciate it, and it shows up in the teacher evaluations. Another agent is based on performance. It looks at all the quizzes, tests, midterms and so on, and then, if you get an A or max out the scale, you’ll get a congratulatory note. But if you get a D or an F, you’ll get a note that says, “Hey, what’s going on? How can I help you? We can still save you; you can still get a good grade in this class, but this is what you need to do.” Then, there are links to the prerequisite material. The instructor sets it up once, and then it works semester after semester, automatically, on behalf of the instructor. The students really appreciate the feedback and that we’re checking up on them and trying to help them. That, too, shows up in the teacher evaluations. Administrators should remain active in the classroom; technology leaders should consume their own technology. And how are you using chatbots? We’re proposing chatbots for everybody. Two to three years from now, every faculty member will get their own chatbot. Why would we do that? I’ll give you a stupid example, but it’s true. It doesn’t matter that the number of people is included on the course syllabus, or that I’ve built an FAQ section on the course website, or that I made a YouTube clip explaining the project, or that I cover it in class. None of that matters. As I said, I get this 15 to 30 times per semester, and with the back-and-forth, we’re talking about hundreds of emails. And I am not alone. It happens to us all. Faculty members hate providing answers to basic questions that are already published in numerous places. Our proposal is to deploy chatbot technology and take that off their plates—to automatically answer those FAQs, not just in class, but in finance, HR and advancement. It would permeate all areas of the university. You said you still teach. That must give you some insight into how the systems work. I believe administrators should remain active in the classroom, and technology leaders should consume their own technology. That will be part of the focus of the talk at UBTech, along with creating digital moments. Those are moments that change how you perceive your job, your job satisfaction and yourself. As in the chatbot example, am I the most expensive typist on the planet or am I someone who’s out to change the world through my teaching and research? The focus of our next strategic plan is on digital moments. How do we take the mundane and create a competitive advantage in terms of increased revenue and increased graduation, retention and progression rates at the university? I hope this will be a passionate, optimistic keynote that will get people fired up at UBTech and will generate a lot of different ideas that are far-reaching and hopefully different from their current experiences with their CIOs and their technology leaders. It will include lots of stuff they can take back and then institute locally. As parents caught up in the college corruption scandal head to court, 128-year-old Caltech provides a counterpoint to the perception that money and connections can rig admissions.